Weapon supplies to Ukraine will serve the best interests of Poland and the whole of Europe, said Stanislaw Koziej, head of Poland's National Security Council. “We completely share the view that the stronger the Ukrainian army, the bigger the chances of slowing down the escalation of the conflict," Koziej is cited by Reuters. "Hence it is in the interests of Europe, Poland and Ukraine to strengthen and additionally arm the Ukrainian army," he said. Koziej spoke after talks with the secretary of Ukraine's National Security and Defense Council, Aleksandr Turchinov, in the Polish capital, Warsaw. Also on Thursday, Polish Foreign Minister Grzegorz Schetyna, announced that military instructors from his country will be involved in training Ukrainian troops. “Polish instructors in Ukraine are part of a wider NATO program, which started last year. It has nothing to do with the events in the east of Ukraine and Russian-Ukrainian relations,” he said. The US also said it is deploying about 300 military personnel to Ukraine between March and October to train the Ukrainian army. Similar plans to send military trainers to Ukraine were voiced by UK Prime Minister, David Cameron, in late February. In February, Polish Defense Minister Tomasz Siemoniak said the country has no plans of supplying arms to Kiev, which has been fighting the rebels in south-eastern Ukraine for nearly a year. 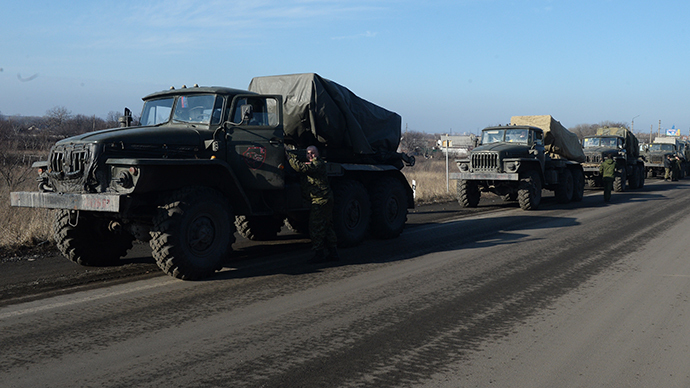 However, deliveries of lethal weapons to Ukraine are being actively discussed by President Obama and other US officials. 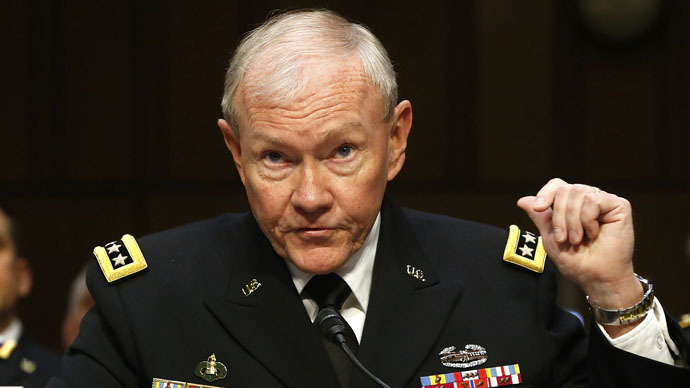 On Wednesday, the chairman of the US Joint Chiefs of Staff, Gen. Martin E. Dempsey, stressed that Washington should “absolutely consider lethal aid” to Kiev. 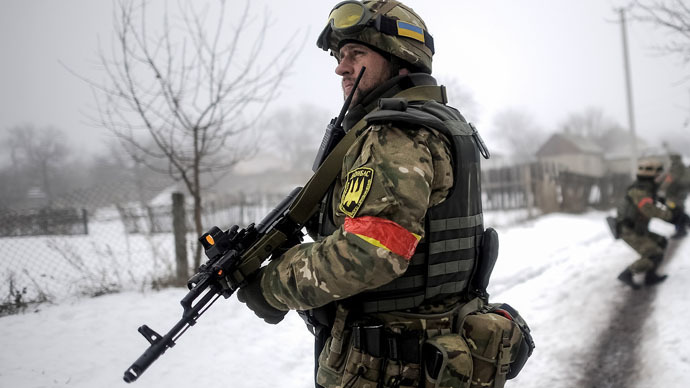 The issue of arming Ukraine is being raised despite the OSCE (Organization for Security and Cooperation in Europe) speaking of progress made by both Kiev and anti-government forces in fulfilling the Minsk peace deal on February 12. 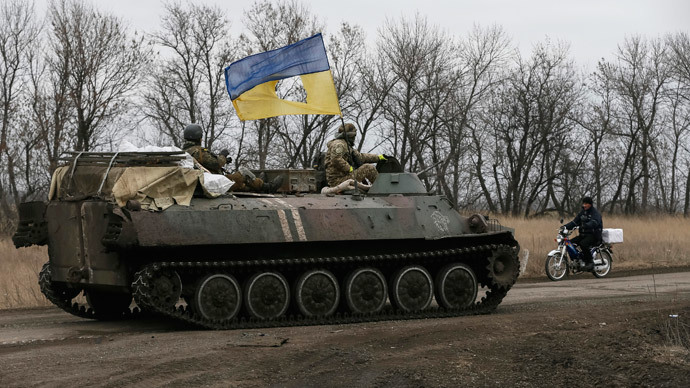 According to the observers, ceasefire violations by both sides are on the decline, and the agreed withdrawal of heavy weapons is also underway. Moscow is “gravely concerned” over reoccurring reports of US plans to start supplying lethal arms to the Ukrainian government, Russian Foreign Ministry spokesman Aleksandr Lukashevich, said on Thursday. "We once again warn Washington of the enormous damage, which will be caused to our bilateral relations, if the killing of the residents of Donbass (south-eastern Ukraine) will be carried out by American weapons. Weapon supplies may cause not only the failure of the ceasefire and a new escalation of violence in the south east (of Ukraine), but also pose a threat to Russia’s security,” he said. Nearly a year of fighting has seen over 6,000 killed and nearly 15,000 injured, the UN Human Rights Office said on Monday.